What Boston Neighborhood Are You? Truth be told, where you live may say something about you, but it's certainly not what you should base your home search on. Whether you're in the market to buy or rent, at the end of the day the only thing your neighborhood should say about you is "happy". Each Boston neighborhood is unique- like the people that live there. Ultimately, it's what that home brings to your quality of life that should be the focus. Here are 10 things to consider when choosing the best Boston 'hood. Obvious alert. Some areas will run you a higher price tag than others. If price is no option, the Hub is your oyster. If you have something specific in mind, there's a chance you'll find it. Want a brownstone? Try Back Bay. 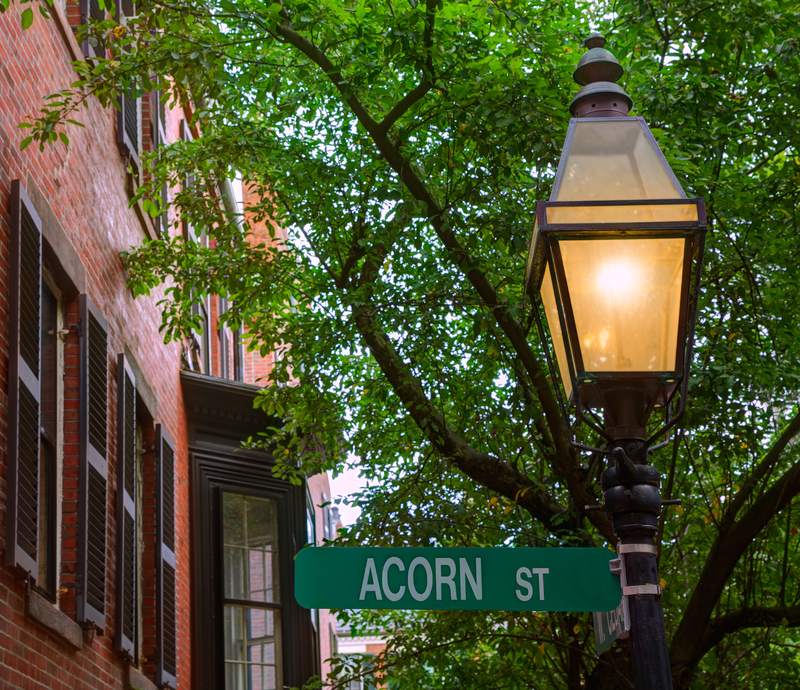 The Seaport boasts some of the newest constructions on the block and Beacon Hill will give you the history you crave. On a budget? Try Allston/Brighton or East Boston. With public transit all over, and a real artistic vibe, these areas typically will run you less than Cambridge or Brookline. We mentioned Beacon Hill offers history and Seaport offers swank, but have you looked into Newton for both? Depending on the style of home you want to live in, be specific with your Agent. They can direct you to hidden gems in areas you haven't thought of. Where you work needs to be conducive to where you live. Work in Cleveland Circle but want to live in Cambridge? You may have a tough commute. Why not try to think outside the box with your Agent and tell them you're open to seeing other options based on your desired commute. That will make a significant impact on where you live and your total rent. If you have a car and aren’t willing to pay the parking costs in the North End, you might want to re-think your location. For people with cars that they just can’t do without, check out Newton, Chestnut Hill or Brighton. An Agent with experience in the area will be your best friend when searching for a place with a driveway, or at least street parking. Willing to pay to park? Check out our blog, 10 sites to help you find monthly parking. Depending on the size of your family, or whether you want it to grow, the are certain limitations when it comes to living in a small place or somewhere without much outdoor space. Think about the amount of time you typically spend outdoors and imagine it with a brood. Areas that tend to be geared toward a growing family can be Coolidge Corner and Brookline Village in Brookline, Cambridge or Chestnut Hill. Planning to stay in Boston a while? You may be ready to buy! While both have their advantages, buying a home or condo in the city is often a sound financial investment. You can opt to use it as income property down the line if you want a bigger place. If you’re answer to #7 was buying, this plays a huge part when it comes to buying in Boston. With the market on the rise, you might want to look in more up and coming areas if looking to invest in something that will only grow. While the old tried and true “buy the worst house in the best neighborhood” is always a good way to go, investing in an up and coming area may give you the most bang for your buck if you’re looking to renovate or live there temporarily. Fenway and Midtown tend to stay relevant in an ever changing market, where neighborhoods like Mission Hill might get you more space and higher volume of renters down the road. Are you someone used to nature sounds? Chinatown my not be for you. While luxury buildings have many efforts in place to reduce noise in high traffic areas, you may consider what it’s going to be like to sit outside or take that morning walk. If you’re looking for somewhere quiet, try Cambridge. Like the commotion of the city? Downtown, South End or the Waterfront could be your next neighborhood. Boston pride is infectious- we ranked #1 on Best Cities to be a Sports Fan on Bleacher Report and Urban Dictionary.com says we are the most annoying (and if they think we take offense to that, they’re wrong). No matter how you slice it, Boston is one of the easiest cities in the world to feel at home. With free events all over the place and an energy that can’t be beat, you can’t go wrong in Beantown. But you can go wrong if you choose to work with just any rental agent! So if you’re looking to move soon, give us a shout at info@blpre.com.